Employees are one of the most important ingredients in our recipe for success. Through our Employee Spotlight Blog Series, we like to highlight the people who serve our customers! Since 2015, Bruce Matt has helped with spring and fall fertilizer, along with other jobs around Stutsmans. This passionate farmer has been around agriculture is whole life and is a great member of our team! We strive to instill the Stutsman core values in everything we do and of course, our employees are a major part of this. 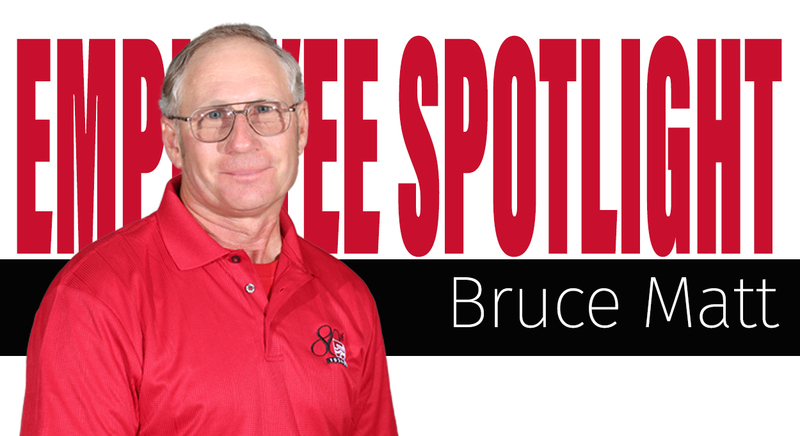 “Bruce is honest, detail-oriented, and gets along great with customers and co-workers. He’s always willing to try new things and isn’t afraid to ask for help.” – Dave Miller, Bin Sales & Service Manager . I supply applicators with fertilizer product in the spring and fall, do maintenance on equipment in the winter, and help on the bin crew in the summer. I grew up on a farm in Northeast Iowa and went to Hawkeye Tech for mechanics. I retired from farming after raising farrow-finish hogs for 30 years. Getting out and about and seeing different farms. Ham, lettuce, and cheese sandwich with a malted milk. A solar generator, set of tools, and book on how to make things out of items on hand. To ride my motorcycle in all of the lower 48 states! Nitrogen because it’s a component of all living things. The people! They are a little more humble because they’re working with variables they can’t control, such as weather, prices, etc. What Stutsman Core Value do you resonate with the most?